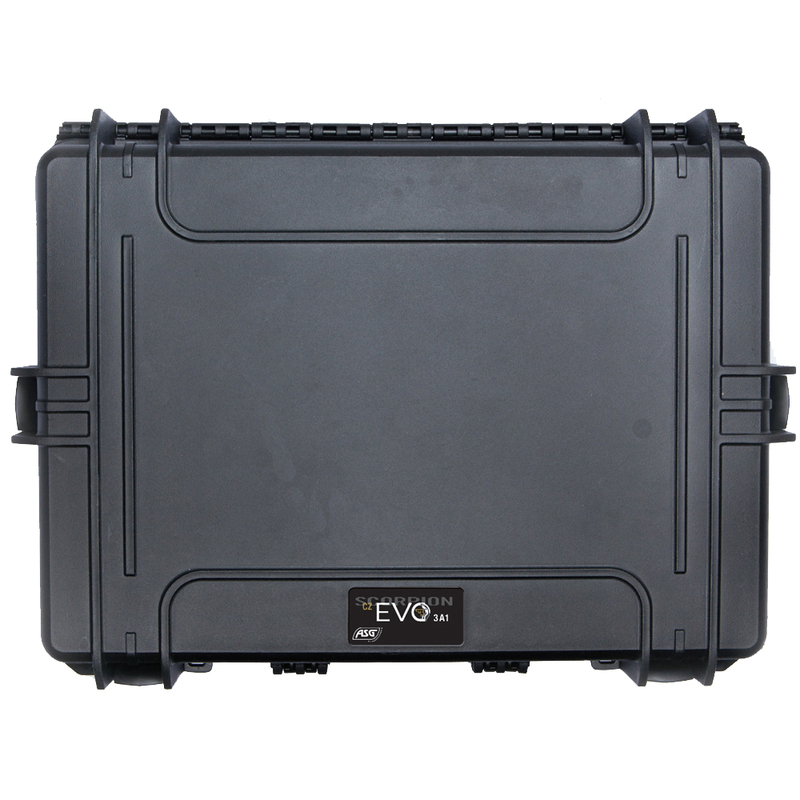 Rugged field case for the EVO 3 A1. An extremely tough field case with 4 locking clamps, making it both water and dust tight. 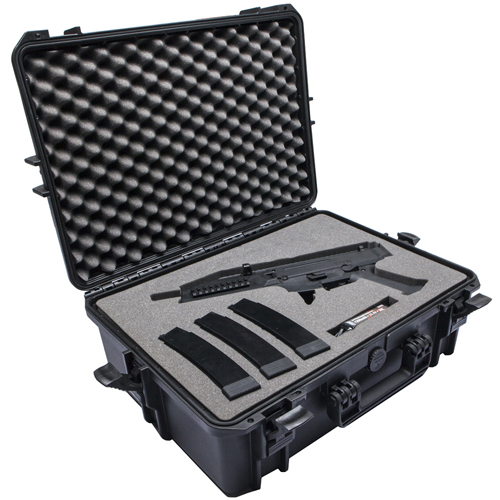 This lockable plastic field case, features cut out foam inlays to securely hold an EVO 3 A1 and up to 6 magazines along with a compartment for the battery pack. The user can customize the case to hold more equipment.